Indie Retro News: The 7th Guest: 25th Anniversary Edition - Remastered classic in a new 25th Anniversary Edition! The 7th Guest: 25th Anniversary Edition - Remastered classic in a new 25th Anniversary Edition! 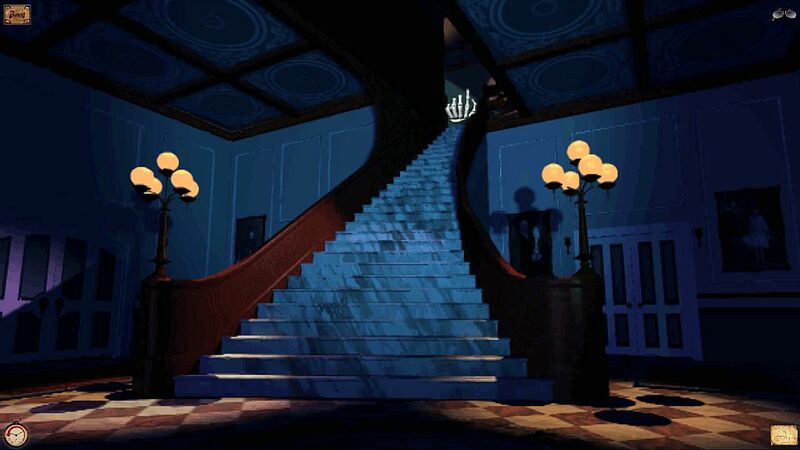 Way back in the 90's Trilobyte with publishing by Virgin Interactive Entertainment released the interactive movie puzzle adventure game ' The 7th Guest ' on multiple systems including CDI, PC and MAC. It was a first person horror game with adult content, that featured live action video clips and pre-rendered 3D graphics that made it a huge success for its time. But why am I mentioning this you may ask? Well you'll be pleased to know MojoTouch and Trilobyte Games have released a remastered version of that classic game, which is now available on GOG & Steam. As noted by the Steam page, this famous game remastered in a new 25th Anniversary Edition, features not just new gameplay controls built from the ground up, but hotspot based options, the ability to skip scenes, a new map accessed directly from the game screen, new mouse and keyboard shortcuts, new menus, a new remastered score from the original game, improved voice acting, high-end graphical upscaling and much much more! - For those of you not liking the improvements, the original is still intact as an option with original graphics, original music and even the original controls! - Groundbreaking use of full-motion video and dialogue recorded by live actors in a terrifyingly virtual environment. - Bizarre puzzles to solve and games to play. - 22 stunningly rendered, devilishly surprising, 3-D rooms await you in this fully explorable haunted mansion.